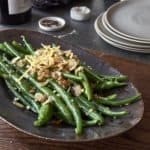 I threw these lemon garlic green beans with almonds last Christmas, and the results were spectacular. These green beans were a huge hit, and I have been saving them to share for these holidays! I also served these lemon garlic green beans at our Thanksgiving potluck last weekend and they were a sensation. 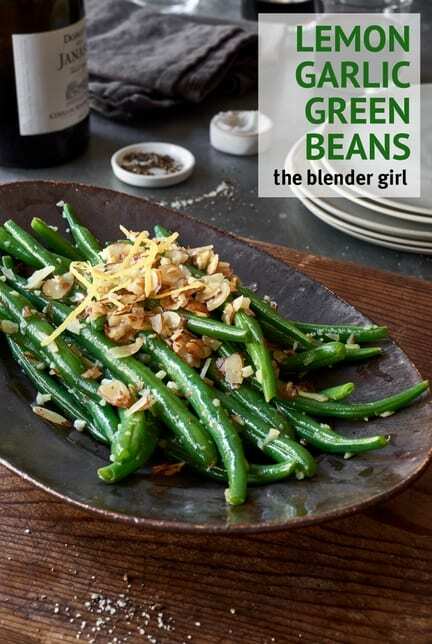 Instead of using canned soup, cream, butter or other toxic flavorings you find in so many holiday green bean dishes, this recipe is light with a refreshing tang. The delicious aroma when you sauté the garlic, almonds, and lemon juice makes you salivate, and I have been caught eating the mixture off the wooden spoon before it even reaches the green beans! You really could serve that as a side topping, or stir it through cooked quinoa or millet with some fresh chopped parsley for a quick, easy grain dish. But back to the beans, because I just love lemon garlic green beans. If you want to make this dish nut free, you could always omit the almonds and some of the lemon juice and olive oil. But I find the raw almonds add a gorgeous crunch and earthy flavor that balances the tartness of the lemons. You could substitute pumpkin seeds or sunflower seeds too. Now, I am a tart at heart, and love a strong lemon flavor, but some people prefer a little less. I would advise adding the lemon juice gradually and tasting. After stirring the lemon almond garlic mixture through the beans, you might find you want to add some more lemon juice. 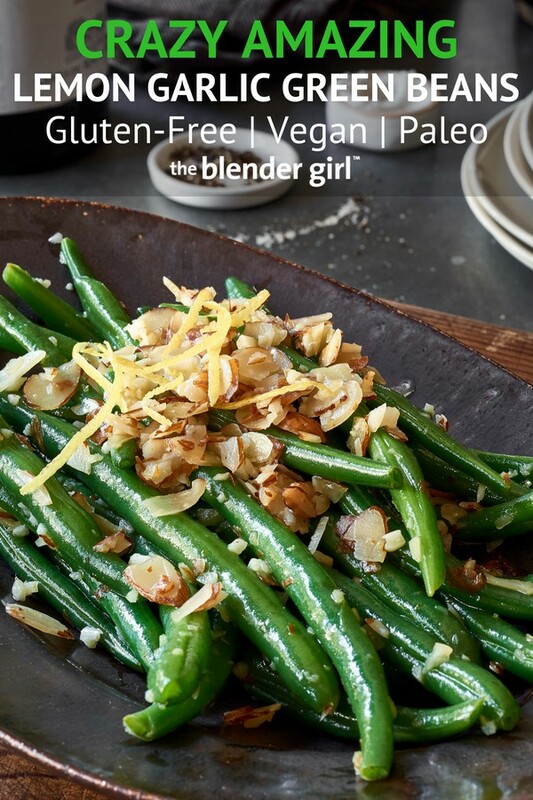 Either way, these lemon garlic green beans with almonds are a winner! 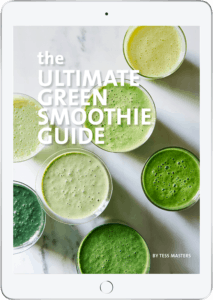 It is a favorite with everybody I serve it to, but perfect for those of us following an alkaline diet, Body Ecology Diet, or needing healthier holiday options this year. This dish is one of my favorite side dishes to make because it’s ridiculously easy, yet the flavors are unbelievable. In a large saucepan, bring the vegetable broth or filtered water to a boil, and then blanch the green beans for 2 to 3 minutes until just al dente. Drain, and set aside. Return the saucepan to the stovetop, and over medium heat, warm the olive oil, and sauté the garlic for about 2 minutes until just starting to brown. Add the sliced almonds, and sauté for 30 to 60 seconds until just warmed. Stir in the lemon juice and finely grated lemon zest. Transfer the drained beans to the saucepan, and stir until well combined. Add salt to taste. Lay the beans in a gratin dish and serve topped with the lemon zest strips.